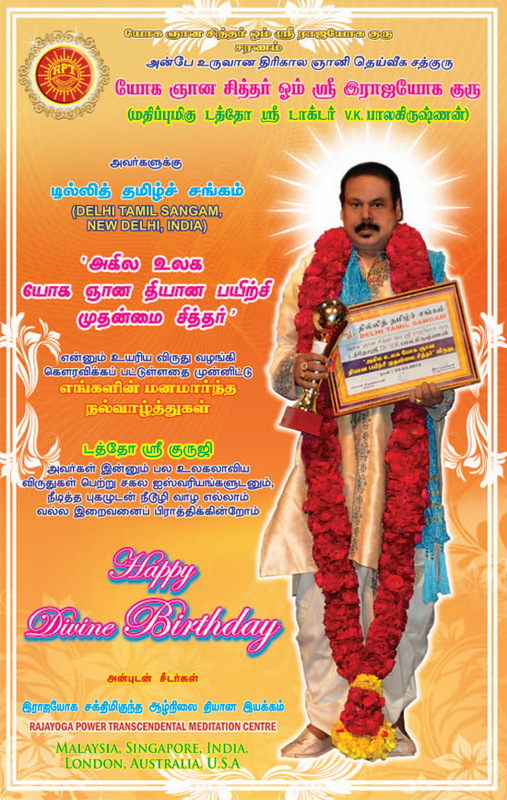 2014 Divine Birthday Wishes from RPT disciples world-wide. 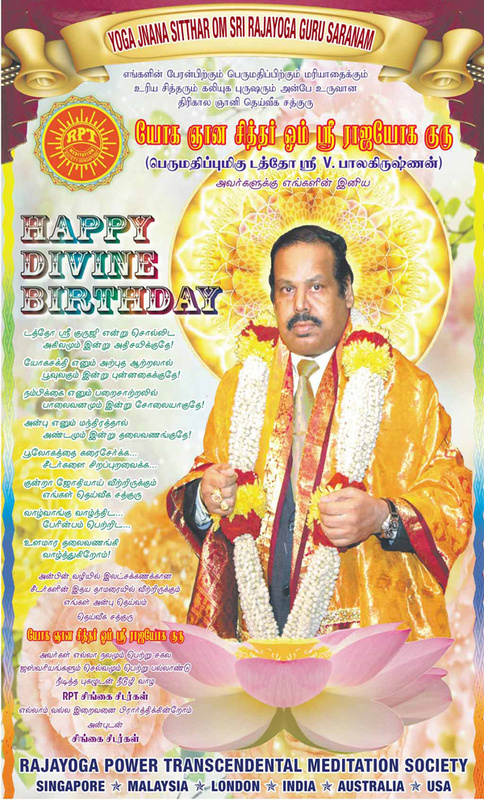 2014 Divine Birthday Wishes from RPT disciples world wide. 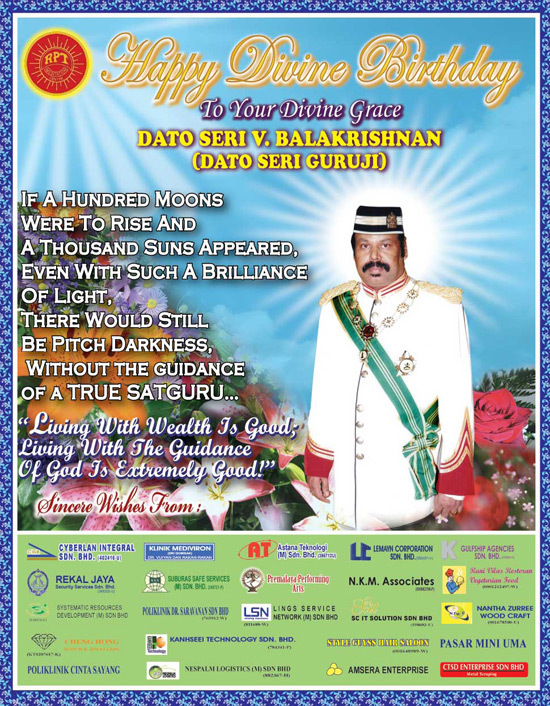 2013 Annathanam 2013 (free food distribution) at Batu Caves: Both their Divine Graces' Divine Invitation to everyone to attend. 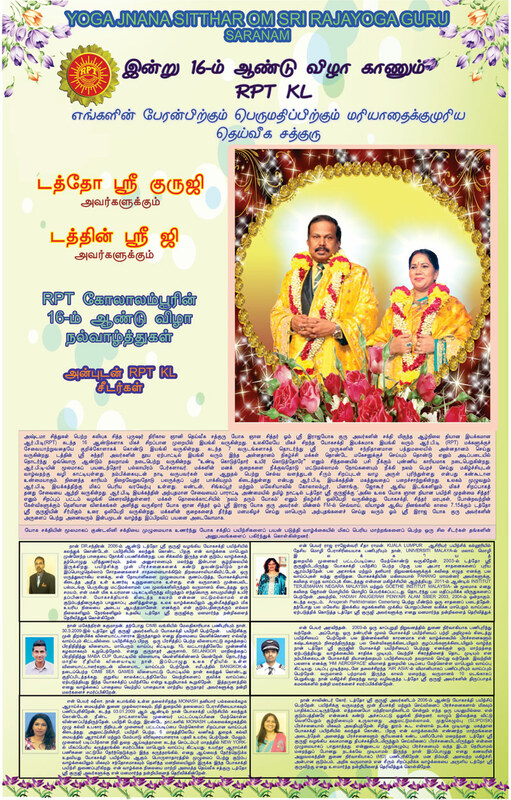 A very happy moment for RPT. 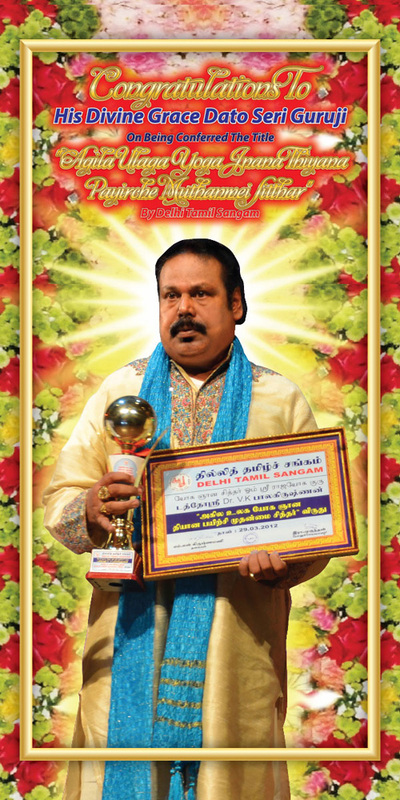 HIS DIVINE GRACE with the prestigious international award. 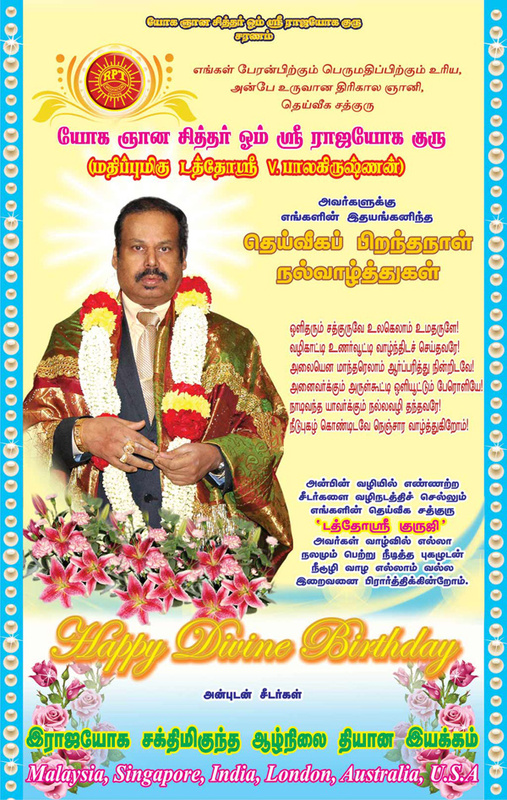 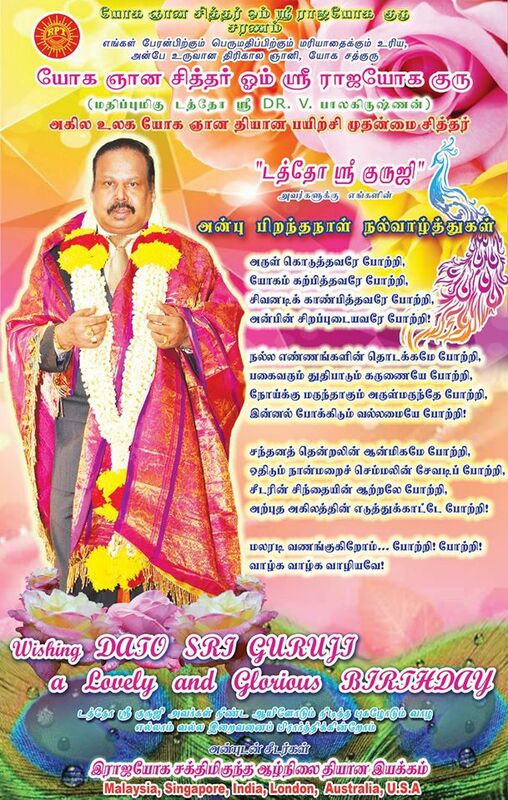 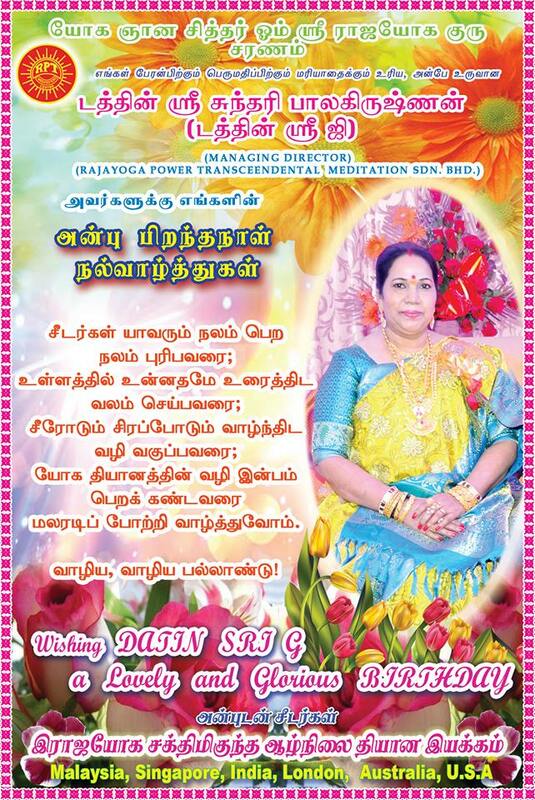 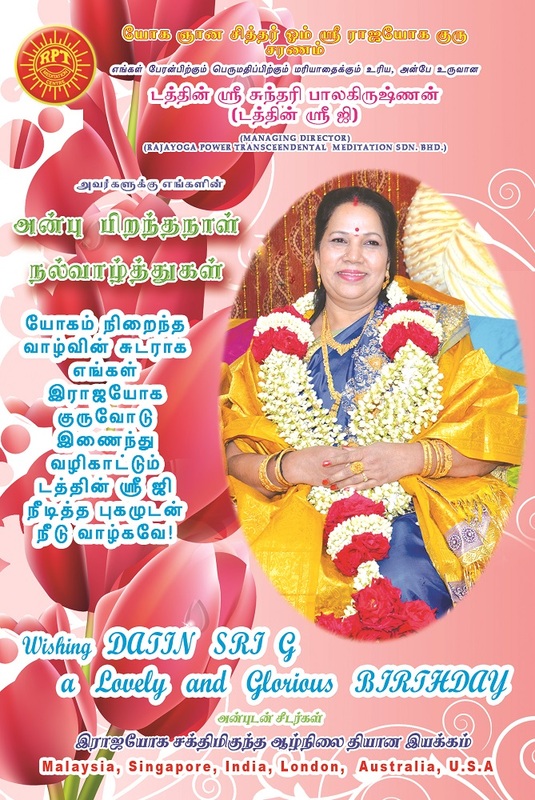 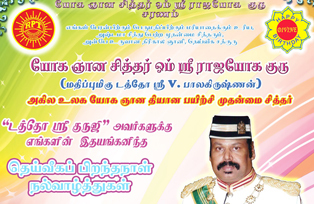 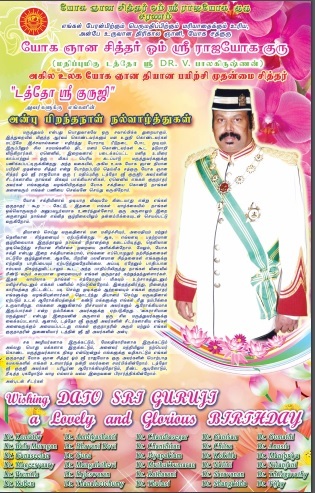 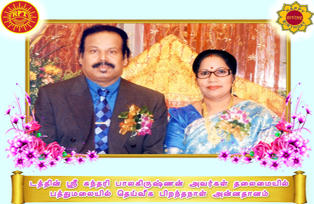 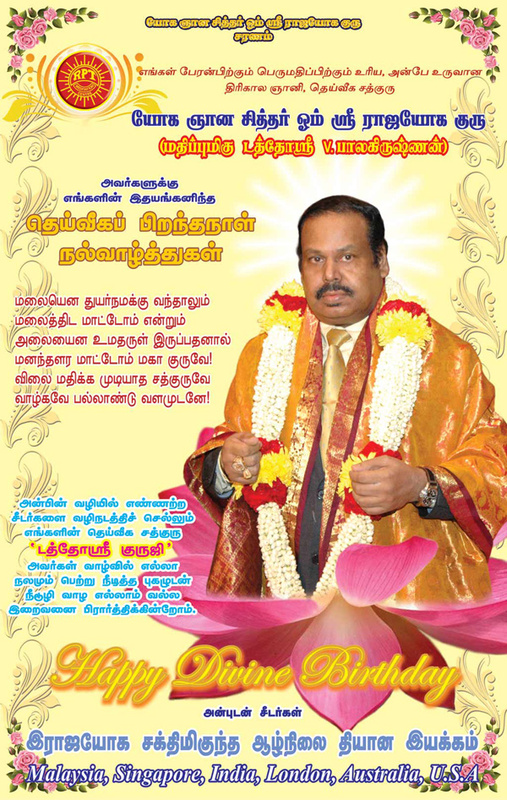 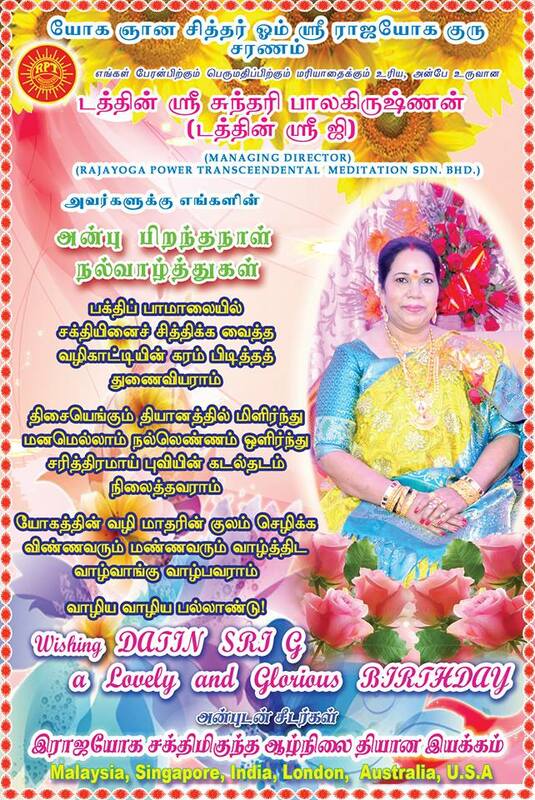 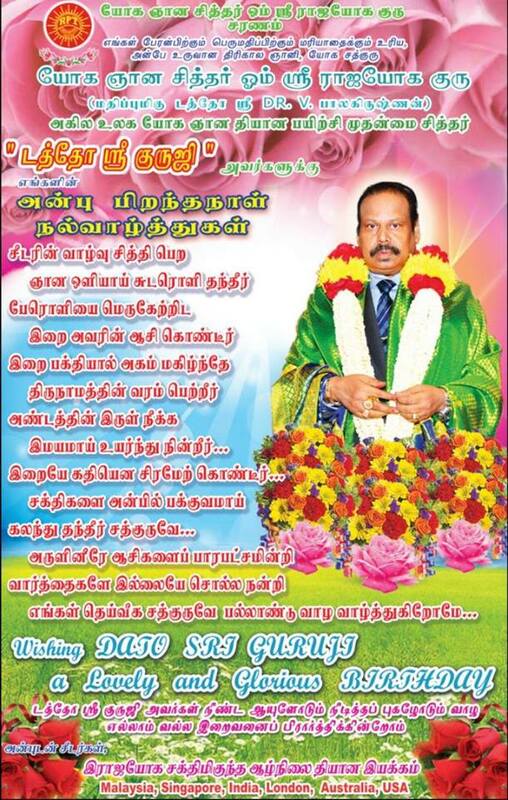 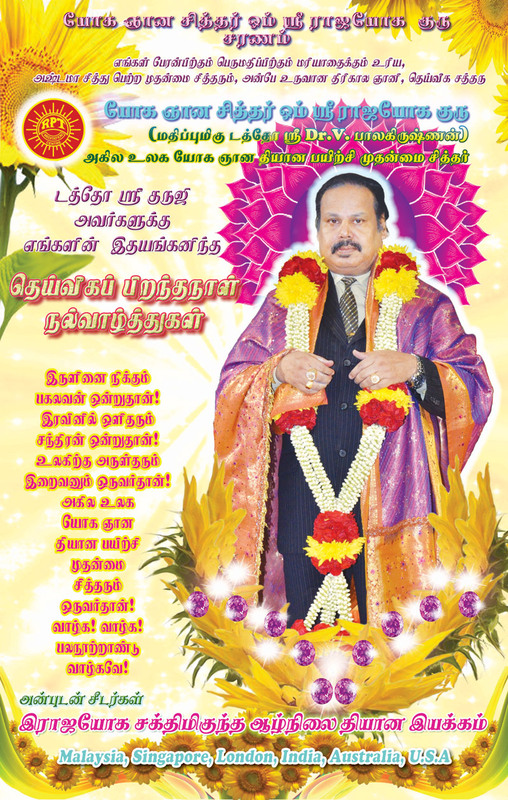 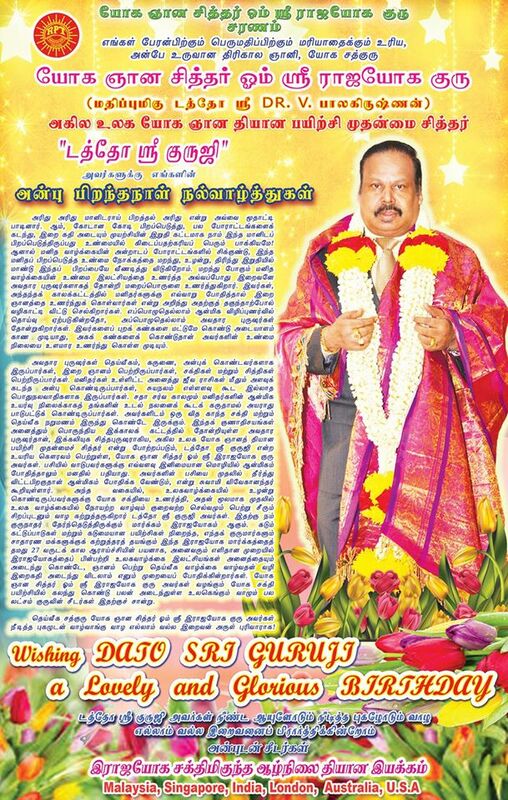 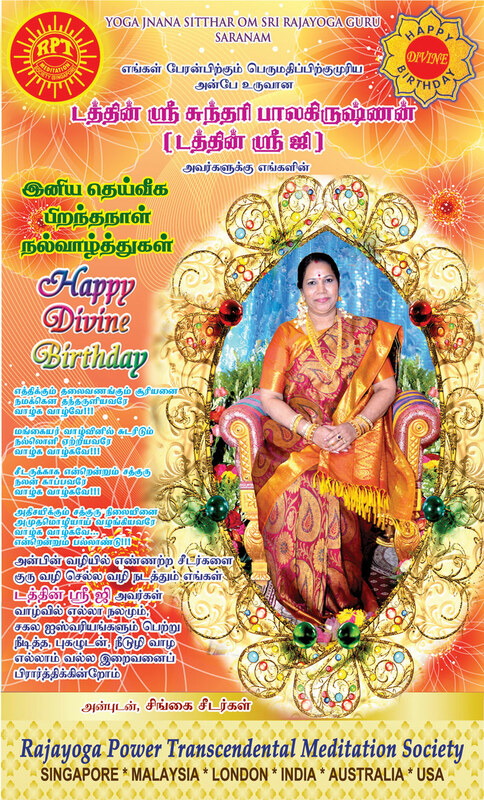 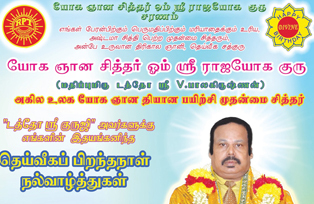 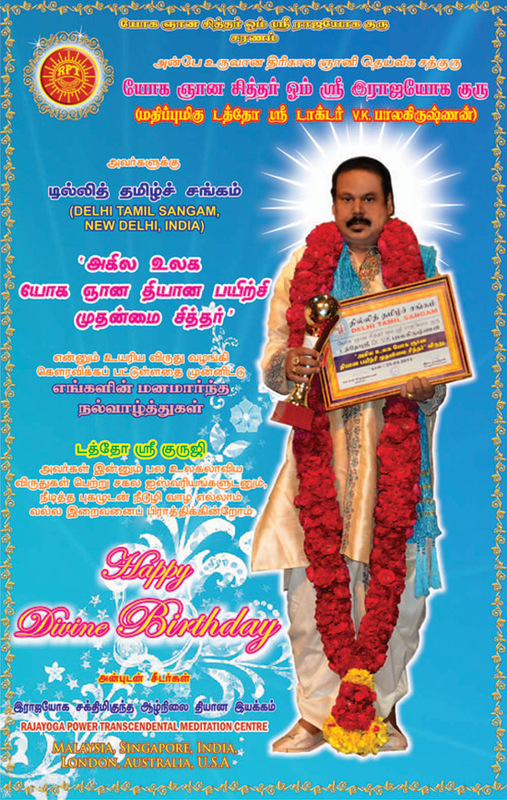 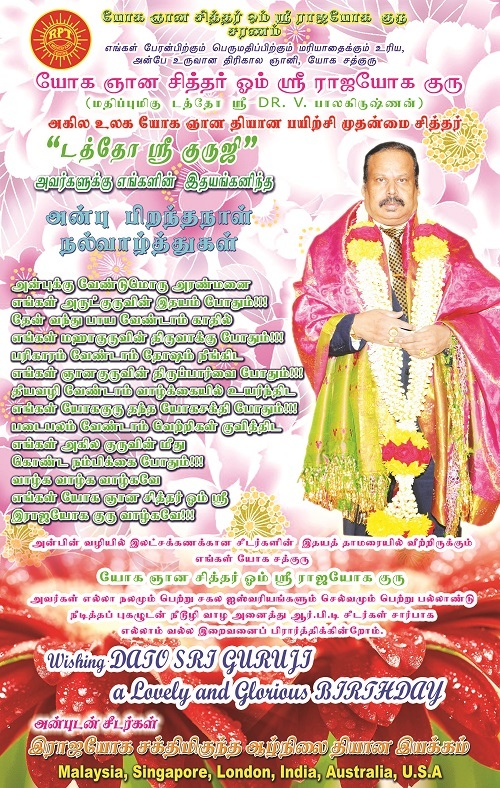 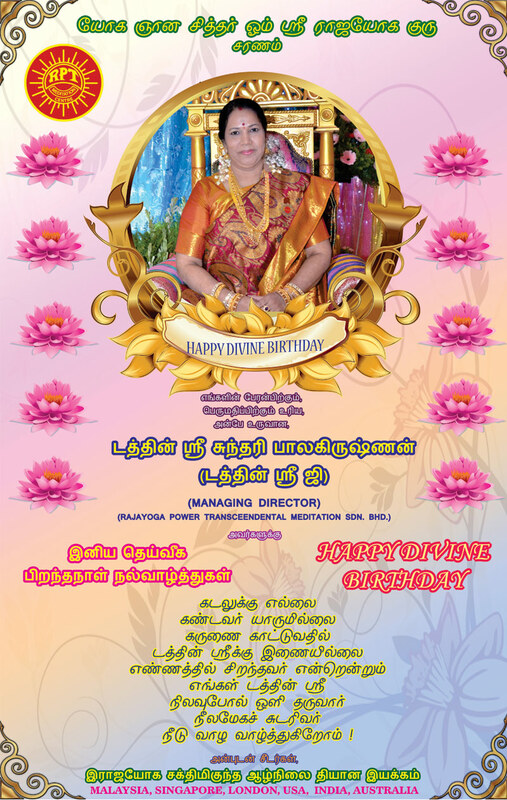 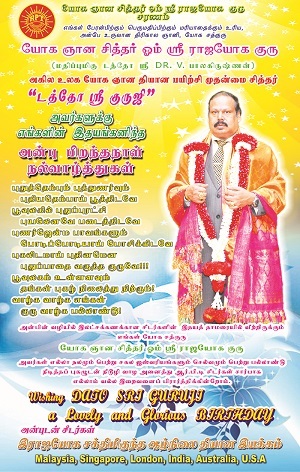 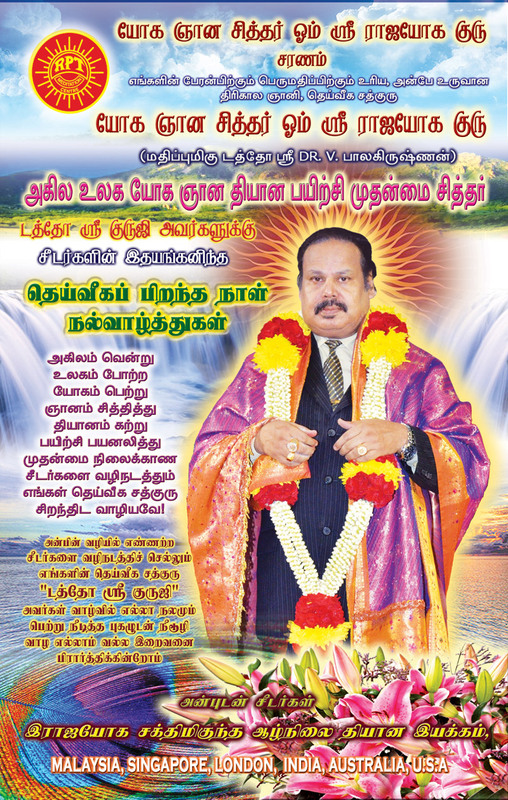 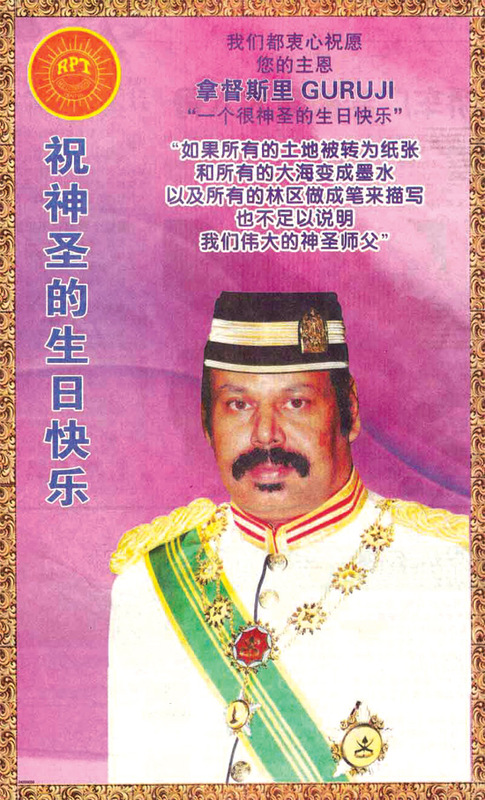 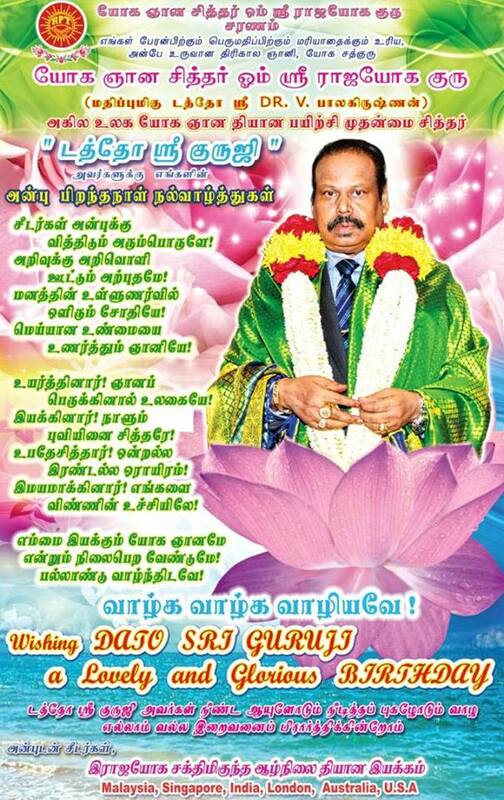 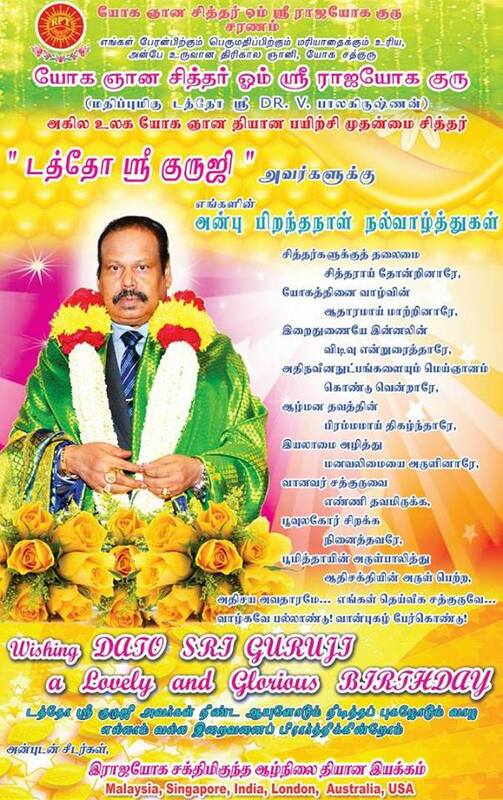 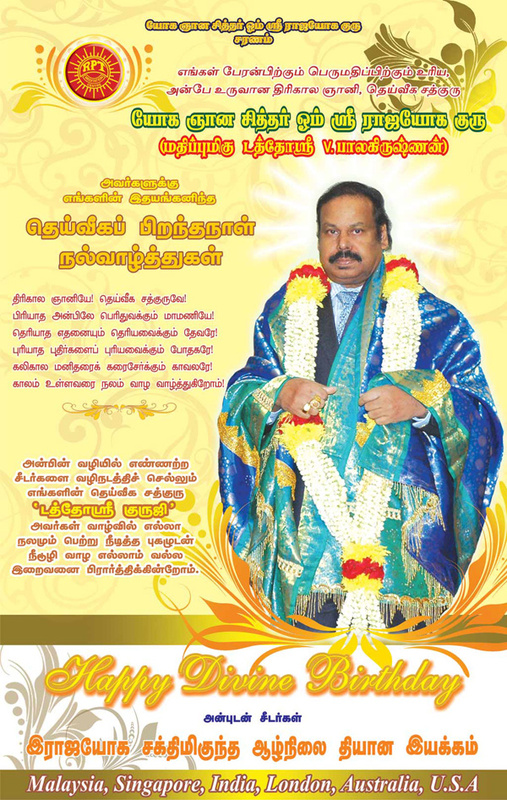 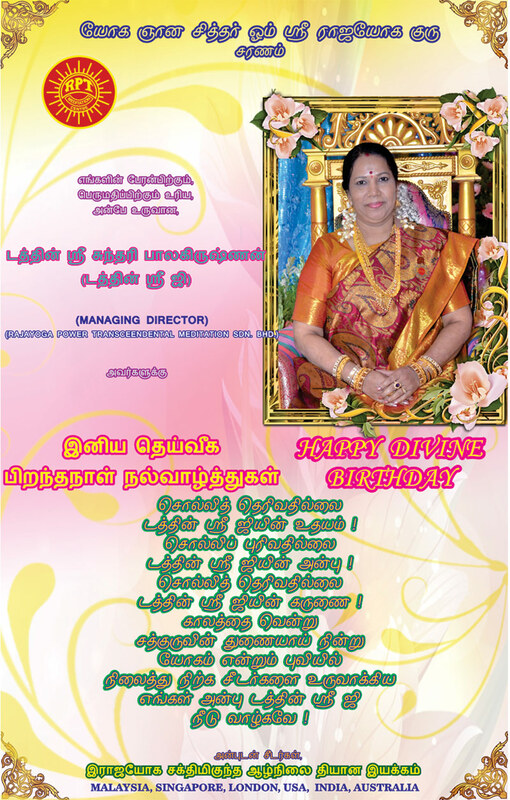 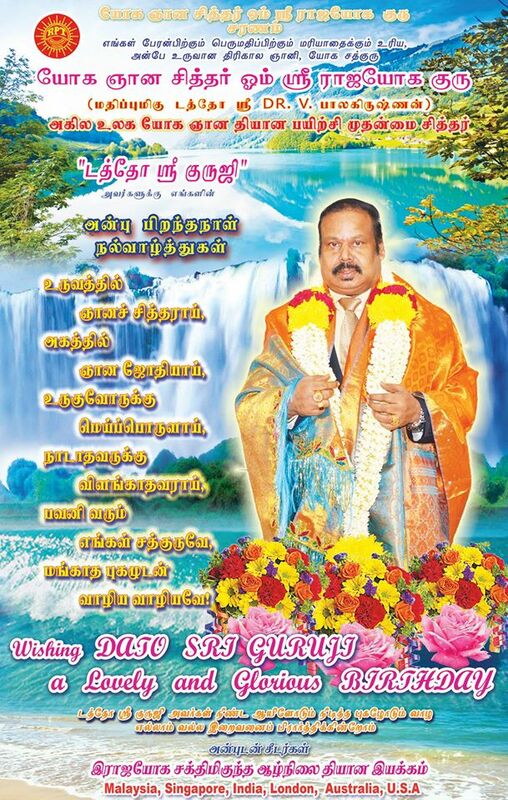 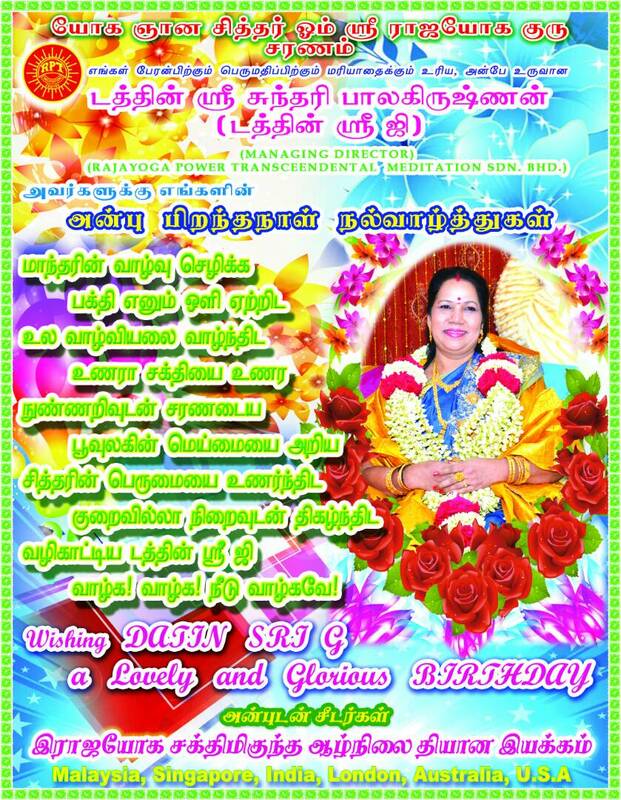 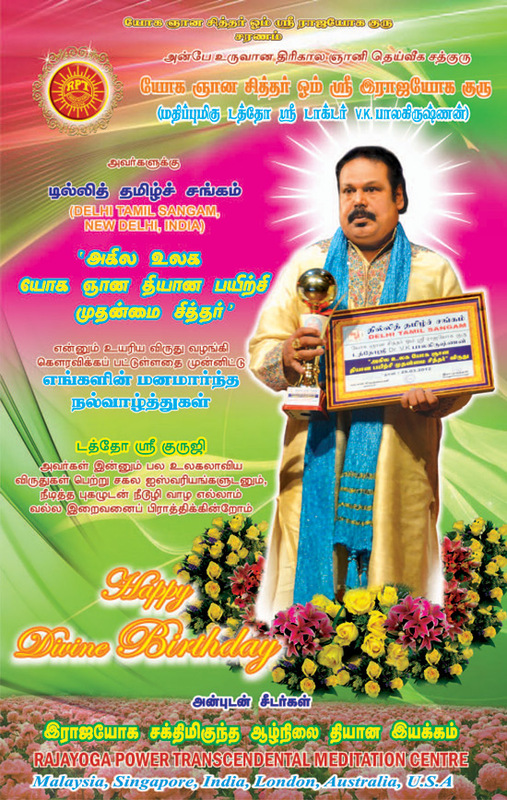 2012 His Divine Grace's Divine Birthday Wishes in a Tamil daily. 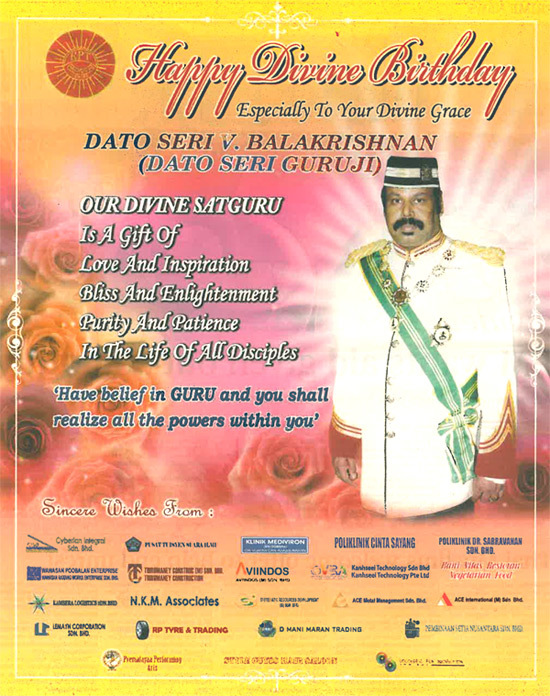 Divine Birthday Wishes for His Divine Grace Dato' Seri Guruji. 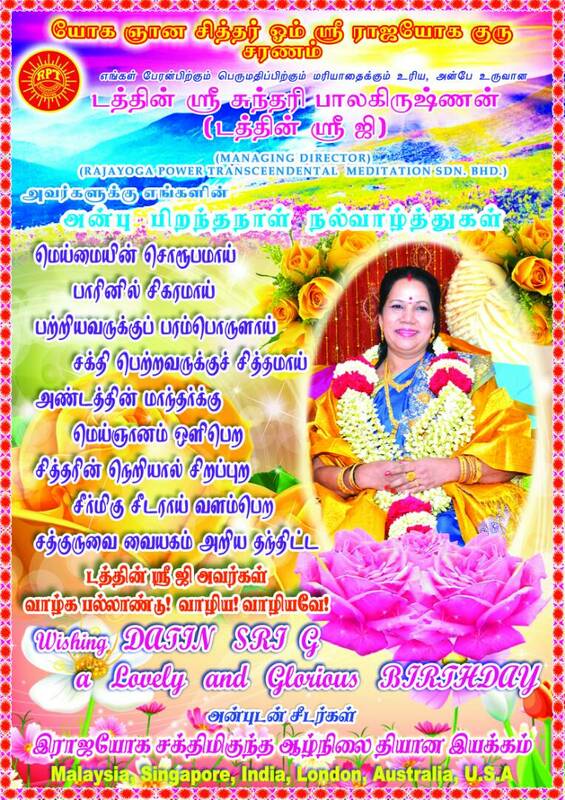 His Divine Grace and Her Divine Graces' Deepavali Greetings. 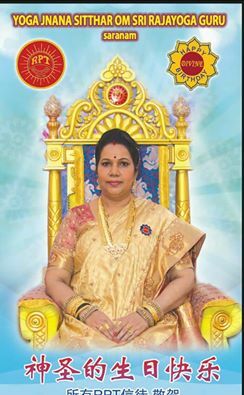 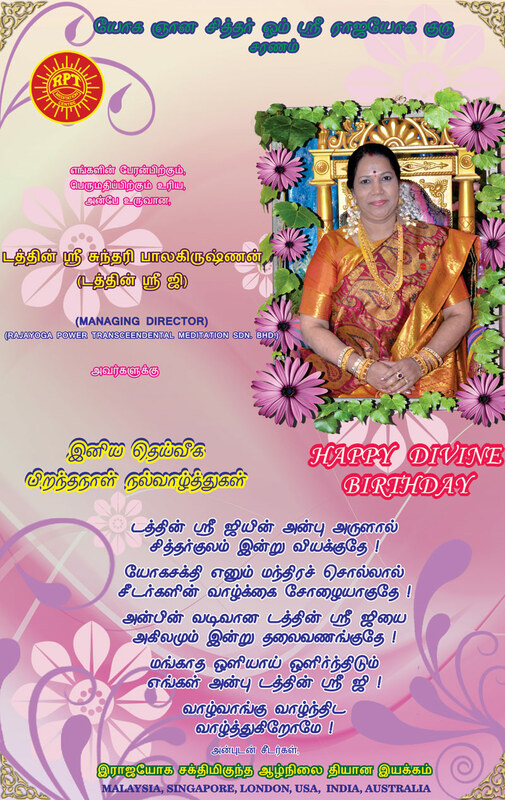 Her Divine Grace's Divine Birthday Wishes. 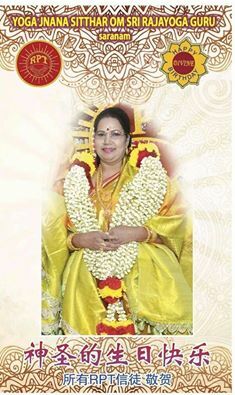 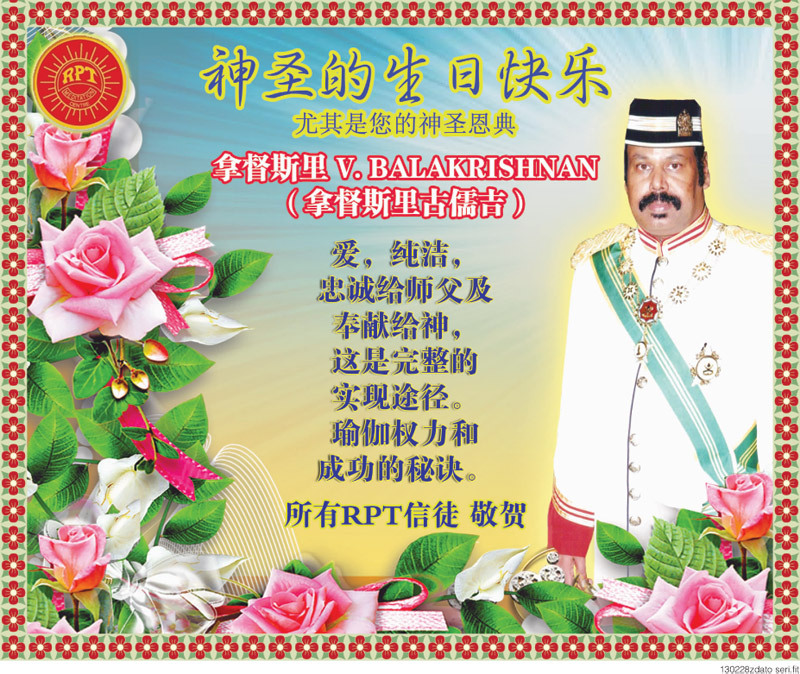 His Divine Grace and Her Divine Graces' Deepavali 2010 Wishes.